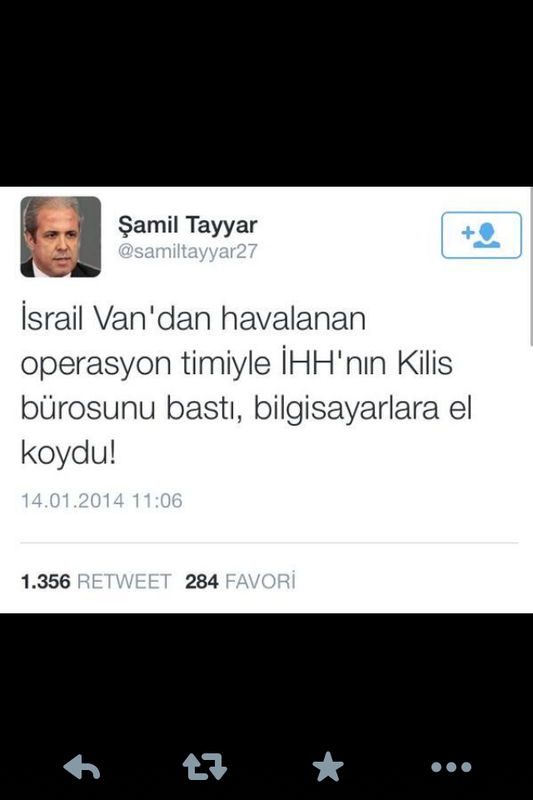 AKP MP Tayyar claimed on Twitter that “Israel raided IHH’s offices in Kilis, confiscated the computers.” in regarding to counter-terrorism police raids against the IHH. Political actors have dramatically changed in Turkish politics following the fraud issue. The whole incident did not reflect well on the government. The Turkish PM, Tayyip Erdogan changed the image of institutions by force. The destruction of the law and judicial institutions cases are also important as much as fraud scandal. However, the fraud issue is not solely problem that the ruling party (AKP) struggles. Recently, Turkish anti-terror police raided the offices the Humanitarian Relief Foundation (IHH) branches in six provinces (mostly South-Eastern province of Turkey and Istanbul) in regarding Al-Qaeda links and captured more than twenty people including two senior members during these simultaneous operations. It is ironic that the Turkish charity foundation (IHH) was behind the Mavi Marmara flotilla that sought to break Israel’s blockade of the Gaza Strip in May 2010. However, the IHH and some of the AKP’s MPs deny those accusations and claim that it is ‘dirty a plot’ by Israel echoing PM of Turkey, Erdogan’s description of the corruption and bribery probe that has targeted his party. Is that Turkish politics’ new norm which is always targeting Israel and Western countries and blame them for backing legal operations against the ruling party in Turkey. Unfortunately, it is not a new phenomena when we concentrate on the big picture. Turkish policies dramatically shifted into incriminating and exclusivist rhetoric in diplomacy which is irritating certain countries and weaken the diplomatic channels. 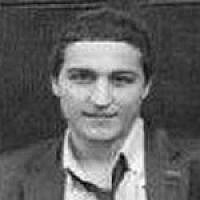 Turkey used to be define as a model country for the Middle Eastern countries with its unique secular and moderated-Islamic well-balanced system. Whereas, Erdogan did not democratise some of the institutions nor constitution but just change them or seized control of them. Nonetheless, the ruling party completely changed the pattern of the appearance of Turkey in international arena. This transformation of policies have direct and indirect effects on official discourse and actions both national and international arena. In this regard, such abnormal policies become part of daily routine in domestic politics and then accepted as normal norms of the Turkish internal and external affairs. In most of the cases, extreme religious motives are become dominant therefore, policies always lacked the sense of strategy and diplomacy. Lack of accountability has corroded international and national respect for Erdogan’s cabinet and his party. As a result, objectivity and neutrality of Turkish policies are shifted into religious fundamentalism and bigotry. In addition, economic successes are not no longer enough to cover this political deterioration and falsification. 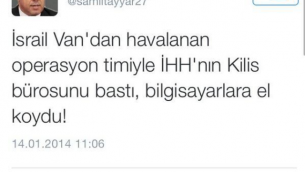 In this context, the IHH is not only illegal organisation that has a cross-border influence. Apart from the IHH, Turkish government have close ties with some Chechen groups such as Caucasus Emirate. Accordingly, after the suicide bombings in the southern Russian city of Volgograd on 29 and 30 December, Russia become more anxious about Turkey’s terrorist networks. The Kremlin is especially fed up with Turkish aid organizations like ‘Imkander’ which has close relations with the Caucasus Emirate. Therefore, it is hard to assure that Turkey will not violate peace in the area by linking such NGOs which are in stark contrast to international law and universal human rights. How and why NATO member and so-called close U.S. ally Turkey plays a vital role in this regard? How the ruling party and PM Erdogan ignore the international law and agreements although recognising those acts as a Turkish state? If it is a plot by the international countries why does Turkey still stay as member of those international organisations? Isn’t it Turkey’s paradox and dilemma? Probably plenty of questions from the international community will still remain unanswered.